RyanAir has cancelled flights unexpectedly owing to pilot shortages. The airline said it expected to face a compensation claims of up to €20m, while analysts said the final bill was likely to be €34.5m (£30.4m) as they marked down Ryanair’s full-year profit forecast by 2.3%. The threat of cancellations has caused anger among passengers as millions were left in limbo, unsure whether their holidays would go ahead. 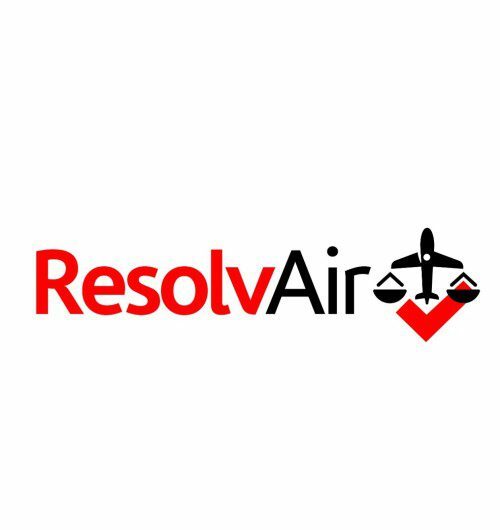 400,000 passengers are affected and of those some will bring claims if they feel that they have suffered irrecoverable losses or have not been offered alternative flights with other airlines. In such cases we would urge passengers and RyanAir to use mediation to try to resolve such claims before they end up in Court. There is no obligation to use Aviation ADR which RyanAir has signed up to, which is an ombudsman style body. The meaning of “earliest opportunity” has not been tested in courts. If Ryanair is able to put you on another of its flights later in the day to the same destination, it is almost certainly fulfilling its obligations. But if, say, you are heading to Barcelona for a long weekend on Friday, and it says it won’t get you on a flight until Sunday, then it is likely to be breaching the EU rules. Michael O’Leary, the Ryanair chief executive, said on Monday the company would not book passengers on to rival airlines to get them to their destination on time. If Ryanair refuses to re-route you when seats are available on, say, BA or easyJet, then you can purchase a ticket yourself and send the receipt to Ryanair and request a refund. But there is no guarantee Ryanair will pay. EasyJet, for example, argues that if it can fly you to your destination within 48 hours, then it will not allow a switch to a rival airline. What compensation must Ryanair pay? The general rule is that an airline must refund the cost of the ticket plus pay €250 (£220) compensation for flights of up to 1,500km, and €400 (£353) for flights of 1,500km to 3,500km. Ryanair does not have any routes over 3,500km. However, if the flight is cancelled with more than two weeks’ notice, then Ryanair does not have to pay the EU compensation, and is only obliged to return the cost of the ticket. If the flight is cancelled within seven to 14 days of the departure date, you are entitled to compensation unless Ryanair offers you re-routing that departs within two hours of the departure time. If travellers are informed of a cancellation within seven days, the wording of the EU legislation says the €250 or €400 must be paid “unless they are offered re-routing, allowing them to depart no more than one hour before the scheduled time of departure and to reach their final destination less than two hours after the scheduled time of arrival”. My return flight home has been cancelled. Will Ryanair pay for hotels? My Airbnb is non-cancellable. Will Ryanair pay for that? Can I cancel and rebook with another airline while Ryanair is dithering around? This would be a risky move. It’s appalling that so many passengers are in the dark about their travel plans, but if you cancel now, and the Ryanair flight does go ahead, you will not receive any refunds or compensation. Twitter is littered with complaints from travellers devastated by the Ryanair cancellations under the #Ryanaircancellations. One bride-to-be posted about her wedding plans – with 30 flights booked for friends next week. Like thousands of others, she is furious that Ryanair has failed to publish a full list of cancelled flights. Can I take Ryanair to court for my losses? Good luck with that. While EU rules give passengers some compensation rights, they also allow Ryanair to domicile its business in Ireland and demand that any legal case go through the Irish courts. “Ryanair argues that the Irish courts have exclusive jurisdiction. We simply can’t issue court proceedings against them in England,” said Benson. Affected passengers could try the Irish small claims court, or the European small claims procedure. But the latter is extremely risky; if you lose, you will have to pay Ryanair’s costs, which could be very large. However, Ryanair is signed up to the aviation alternative dispute resolution process in the UK, at aviationadr.org.uk. This settles claims for passengers who allege they have been treated unfairly. There is no obligation to use this body and ProMediate can mediate.